This is Pointe's February/March 2019 Cover Story. You can subscribe to the magazine here, or click here to purchase this issue. 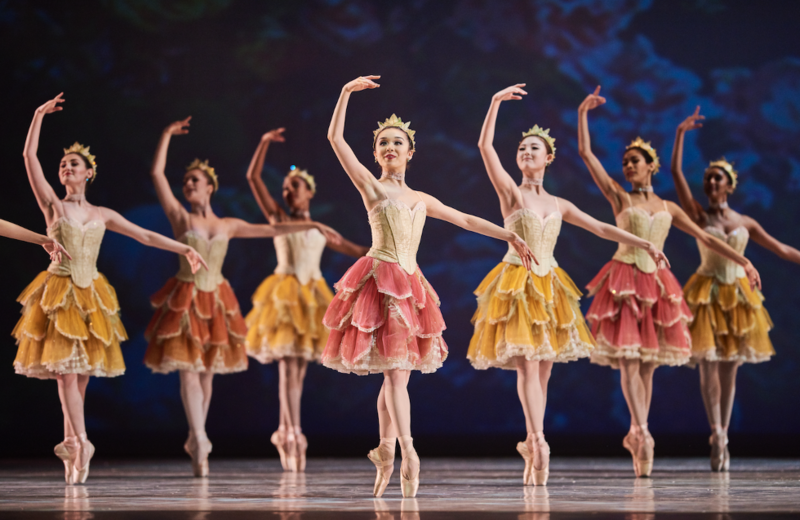 When Natasha Sheehan debuted in The Sleeping Beauty's Bluebird pas de deux last season, she enchanted the San Francisco Ballet audience with her filigree footwork, elegant lines and effortless charisma. It was a big moment for the then-19-year-old, who was just beginning her second year in the corps, but it wasn't her first—Sheehan has been in the spotlight since she was a 16-year-old trainee in the company school. That's when SFB artistic director Helgi Tomasson gave her the lead in his Bartók Divertimento for the 2016 season gala, an evening featuring the company's biggest stars. Before that she was a cygnet in Swan Lake. "It felt like a dream," Sheehan says of getting featured roles so early. But it was also high-stakes. "During the 'Little Swans,' I could see Helgi watching me in the wings," she recalls vividly. "It was like, 'This is my one chance. I have to do this right.' "
And just after joining the corps in the fall of 2016, at age 17, Sheehan won the prestigious Erik Bruhn Prize. The annual competition is open to professionals ages 18 to 23 from National Ballet of Canada, SFB, American Ballet Theatre, Hamburg Ballet and The Royal Ballet. (Sheehan had to get special permission because she was underage.) She and principal dancer Angelo Greco, then a soloist, danced Foragers, a contemporary piece choreographed by Myles Thatcher, and the Giselle Act II pas de deux. "She is really young, but she is really talented," says Greco, who won the men's prize. "She has everything." "I'm so grateful for how much has already come to me, so soon," says Sheehan, now 20 and midway through her third year in the corps. But while her path to center stage seems like a fairy tale, she's struggled along the way, including learning to manage intense perfectionism that started during her early training. Growing up in Walnut Creek, California, a San Francisco suburb, 9-year-old Sheehan joined her youngest sister's jazz, hip-hop and tap classes at a local studio. She took ballet as a member of the studio's dance team—and hated it. But she quickly fell in love with the art form while watching videos of Polina Semionova and Alessandra Ferri on YouTube. At 10, she dove into serious training—starting with remedial technique lessons with 6-year-olds. "I had to start from the beginning, and I felt intimidated," she says. "But I got over it." Blessed with natural turnout, graceful arches and classical proportions, Sheehan caught up quickly and soon felt unchallenged. So when other girls from the studio got into the SFB School, the 11-year-old Sheehan decided to audition. Her recollection of the audition verges on slapstick. "The train was running late, and I spilled water all over my leotard. It looked like I peed." She and her mom rinsed her leotard with water in the restroom "so it would all be the same color. In the class, the leotard was damp." Despite the mishap, she was accepted with a full scholarship. Sheehan in Nutcracker's "Waltz of the Flowers"
Tomasson spotted Sheehan right away. "It was the purity of her classical lines," he says. "And a certain poise she had as a young girl. It's rare to find somebody who is so suited to classical roles." Patrick Armand, the school's director, agrees. "She had something special," he says. "A lovely facility and a lot of articulation, and a nice quality in her dancing that's something you cannot learn." But Sheehan thought she did have a lot to learn compared to her classmates. "I felt behind, and I tried to do what everybody else was doing," she says. "That made me overthink things and try to be perfect at everything." Her goal-oriented drive propelled her through the levels, and summer intensives at SFB, the School of American Ballet, Paris Opéra Ballet and Ellison Ballet honed her technique. Yet her perfectionism was becoming a barrier—class corrections could make her crumble. The disparity between Sheehan's artistic potential and emotional maturity came to a head at the end of her first trainee year. Although she was just 16, Tomasson wanted to take her into the corps, but ultimately decided that she should do a second trainee year and focus on mastering her mind-set. "There is the danger if you push somebody too fast at that age," he says. "The expectations and the responsibility can be a huge burden." Outside expectations were nothing compared to the pressure Sheehan put on herself. "I am an extreme perfectionist," she admits, so Armand focused on building her confidence and resilience. "I explained that to get better, you're going to have to fail," he says. "Patrick told me, 'Don't overthink things. Just do what you love to do, which is dance," says Sheehan. She began to see imperfection not as failure but as an essential part of being an artist. After gaining another year of experience, she felt ready to join the company. Sheehan opened her first company season by returning to the gala stage with Greco and reprising Foragers. Thatcher, who has choreographed on her since her early school days, noticed the evolution. "It's been really fun to see her grow into this maturity," he says. "And she allows herself to be vulnerable onstage, which is powerful." Letting go of perfectionism is an ongoing challenge. Even last season's Unbound festival, where Sheehan danced in edgy world premieres by Annabelle Lopez Ochoa, Alonzo King and Edwaard Liang, was a learning process. "The choreographers would have me do a certain movement over and over again to try and get it into my body," she says. "I'm getting used to not always dancing pretty, and allowing myself to get ugly and weird." While she was rehearsing Cupid for this season's Don Quixote, she knew she was just as likely to be a nymph. She's gotten used to juggling corps and featured roles: "It would be impossible to have an ego, because you have to be able to switch into so many different types of roles," she says. "I've learned to treat every role the same." She's also chosen to draw a clear line between work and life. "I'm friendly with everyone, but I learned how important it is to have an outside life and outside interests," she says. "That's helped me avoid distractions." Sheehan, whose mother was born in Korea, loves K-pop music, and she caught boy band BTS on their recent tour. ("It was insane but amazing!") Cooking and food blogging gives her another creative outlet. She envisions becoming a nutritionist after her dance career, and is enrolled in the LEAP program at Saint Mary's College of California. To help pay for school, she lives at home with her parents and two younger sisters, who keep her grounded. "They don't allow me to really talk about ballet," she says. "They say, 'We love you, Tash, but ballet's kind of boring.' "
Now that all the pieces are coming together, Sheehan is moving forward with the confidence she's worked so hard to earn. 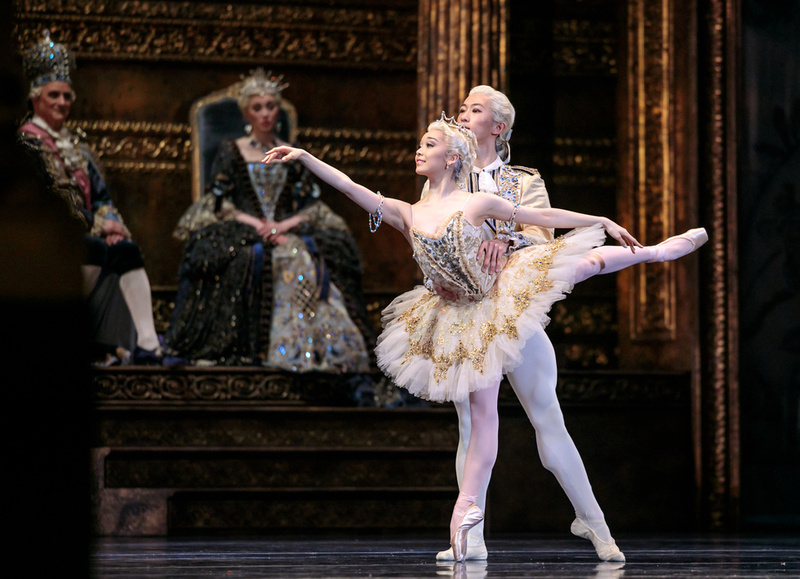 "I hope to be able to do all the dream roles, hopefully become a principal dancer," she says. Then again, she's not going to worry about it. "I'm not sure what the future holds, and I'm okay with that." So it's understandable that as of Monday, American Ballet Theatre corps de ballet dancer Melanie Hamrick, whose Port Rouge will have its U.S. premiere tonight at the Youth American Grand Prix gala, was still torn about which songs to include. The Royal Ballet's Vadim Muntagirov and Marianela Nuñez in La Bayadère. Photo by Bill Cooper, Courtesy ROH. Do you ever wish you could teleport to London and casually stroll into The Royal Opera House to see some of the world's best-loved ballets? Well, we have a solution for you: The Royal Ballet's 2018-19 cinema season. Whether live or recorded, the seven ballet programs listed below, streaming now through next October, will deliver all of the magic that The Royal Ballet has to offer straight to your local movie theater. Can you smell the popcorn already? "Within the Golden Hour"/New Sidi Larbi Cherkaoui/"Flight Pattern"
Royes Fernandez and Maria Tallchief in "Les Sylphides." Captured via YouTube. In the early years of professional ballet in the United States, influential American dancers played key roles in changing perspectives of ballet as a strictly European art form. Maria Tallchief and Royes Fernandez were among those dancers who helped establish and define an American ballet aesthetic and identity: she as the original prima ballerina of New York City Ballet and he as American Ballet Theatre's Siegfried in the company's first full-length production of Swan Lake. These two exceptional performers are mesmerizing together in this 1963 excerpt from Fokine's Les Sylphide. Congratulations are in order for Kathryn Morgan! After a long struggle with hypothyroidism, which led to the ballerina's resignation from New York City Ballet in 2012, Morgan is now set to dive back into full-time professional dance as a soloist at Miami City Ballet.